A self-driven mini-project, because I love robots. 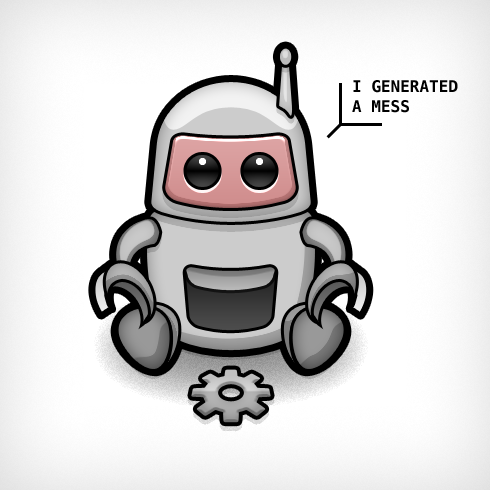 Even bad robots who generate a mess. The piece is rendered using only Photoshop vectors.